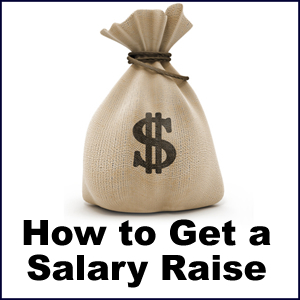 People with the 7 habits simply earn more with much less effort. How do highly successful highly effective people do it? Communicate their plans pro-actively to the people they choose. Understand the other person, client, family first. They listen much better to what you want when they know you heard them. Now keep your plan and implementation going and growing. We need processes that let us overcome our fears of (driven form the past beliefs and values), failure, rejection, getting hurt and looking stupid. developing a Win-Win mind set? In his best-seller “The Seven Habits of Highly Effective People,” Steven Covey defines Win-Win as a frame of mind which constantly seeks mutual benefit in all human interactions. Win-Win means that agreements or solutions are mutually beneficial, mutually satisfying. With a Win-Win solution, all parties feel good about the decision and feel committed to the action plan. Win-Win sees life as a cooperative, not a competitive arena. Most people tend to think in terms of dichotomies: strong or weak, hardball or softball, win or lose. But that kind of thinking is fundamentally flawed, because it is based on power and position rather than principle. Win-Win is based on the paradigm that there is plenty for everybody, that one person’s success is not achieved at the expense or exclusion of the success of others. Win-Win is a belief in the third alternative. It’s not your way or my way; it’s a better way, a higher way. Treating everyone by the same set of principles. Being loyal to those who are not present. Maturity is the balance between courage and consideration. Expressing feelings and convictions with courage balanced with consideration for the feelings and convictions of another person requires maturity, particularly if the issue is very important to both parties. An abundance mentality flows from a deep inner sense of personal worth and security. It is a paradigm that states that this is a world of plenty and that there is enough for everybody. It results in the sharing of prestige, of recognition, of profits, of decision making. It opens possibilities, options, alternatives and creativity. In his best-seller The Seven Habits of Highly Effective People, Steven Covey defines Win-Win as a frame of mind which constantly seeks mutual benefit in all human interactions. Conforming reality to our words – keeping promises and fulfilling expectations. What is the “7 Habits of Highly Effective people”, I often hear people referring to it? Can you tell me what it is all about? Can I apply these habits and concepts in business? By following the ‘7 Habits of Highly Effective people’, you can enhance your performance in all aspects of life and will definitely contribute to greater success in business. What the 7 Habits of Highly Effective people entail. The core principles underlying each of the seven habits. 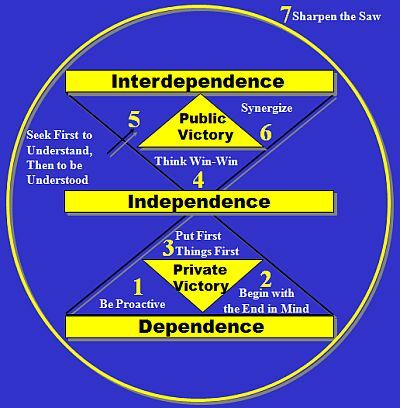 The relationship between the seven habits and the dependency continuum. Be pro-active, by applying self-knowledge and self-awareness in order to be able to choose your response. Self-awareness, personal vision and responsibility. Begin with the end in mind, by applying imagination and conscience. Leadership and having a mission. Put first things first by applying will-power. Managing time and priorities around roles and goals. Think Win-Win by adopting an abundance mentality. Seeking mutual benefit.Seek first to understand, then to be understood by applying courage balanced by consideration. We can combine our talents and abilities and create something greater together. Interdependent people combine their own efforts with the efforts of others to achieve their greatest success. As an interdependent person, I have the opportunity to share myself and meaningfully with others, and have access to the vast resources and potential of other human beings. Independent people will strive to get what they want through their own efforts. Dependence – ‘YOU’ paradigm: You take care of me. You come through for me. I blame you for the results. Dependent people need others to get what they want. How do I go about growing interdependence? Growing interdependence depends upon building trust in relationships. Think of building trust as making deposits into an Emotional Bank Account. The more deposits you make, the more reserves you accumulate. Keeping a commitment or a promise is a major deposit, breaking one is a major withdrawal. Really seeking to understand another person is probably one of the most important deposits we can make, and it is the key to every other deposit. The little kindnesses and courtesies are very important. Small discourtesies, a little unkindness, little forms of disrespect make large withdrawals. In relationships, the little things are the big things. It takes a great deal of character and strength to apologize quickly out of one’s heart rather than out of pity. When we truly love others without condition, without strings, we help them feel secure and safe and validated and affirmed in essential worth, identity, and integrity. Their natural growth process is encouraged. We make it easier for them to live the laws of life – co-operation, contribution, self-discipline, integrity and to discover and live true to the highest and best within them. “If I have a habit of showing discourtesy, disrespect, cutting you off, overreacting, ignoring you, becoming arbitrary, betraying your trust, threatening you, or playing little tin god in your life, my Emotional Bank Account will eventually be overdrawn. Easily aquire the seven habits! Signup to our career plan on this site! The 7 habits of highly effective people discussed in question and answer style. 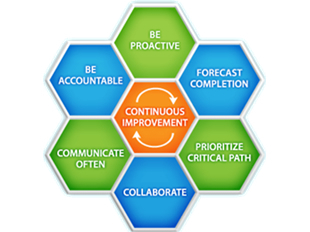 What are the seven habits of highly effective people, I often hear people referring to it? Can you tell me what it is all about? Can I apply these 7 habits and concepts in business? By following Covey’s 7 habits, you can enhance your performance in all aspects of life and will definitely contribute to greater success in business. Leadership and having a mission. Put first things first by applying will-power. Seek mutual benefit. Seek first to understand, then to be understood by applying courage balanced by consideration. Empathetic communication. “Sharpen the saw” through continuous improvement of Self. It is all about creating a Win-Win situation as a way of life. What the seven habits of highly effective people entail. The relationship between the 7 habits and the dependency relationship. Thank you to: Stephen R Covey for The 7 Habits of Highly Effective People. Interdependent people combine their efforts with the efforts of others to achieve their greatest success. As an interdependent person, I have the opportunity to share myself meaningfully with others, and have access to the vast resources and potential of other human beings. You take care of me. Growing interdependence depends upon building trust in relationships. Think of building trust as making deposits into an Emotional Bank Account (explained below). It takes a great deal of character and strength to apologize sincerely. When we truly love others without condition, without strings; we help them feel secure, safe, validated and affirmed in their essential worth, identity and integrity. Their natural growth process is encouraged. We make it easier for them to follow the laws of life: co-operation, contribution, self-discipline and integrity. Love encourages to discover and live true to your highest and best. If I have a habit of showing discourtesy, disrespect, cutting you off, overreacting, ignoring you, becoming arbitrary, betraying your trust, threatening you, or playing little tin god in your life, my Emotional Bank Account will eventually be overdrawn. The trust level will become very low. What flexibility do I then have?